Safe regulation of metabolism through cellular efficiency is possible by means of a healthy thyroid. MetaboLite includes kelp, a sea vegetable, which has been used as a thyroid nutrient for centuries. 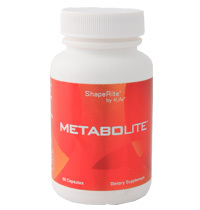 MetaboLite supports digestive function through the aid of enzymes from papaya, pineapple and globe artichoke. Wide spectrum micro-nutrients from spirulina and sage contribute to cellular nutrition. Kelp, a sea vegetable also known as bladderwrack, has been used as a thyroid nutrient for centuries because of its high iodine content. MetaboLite supports digestive function through the aid of enzymes from papaya, pineapple, and globe artichoke. Wide spectrum phytonutrients from spirulina and sage contribute to cellular nutrition. For a long time, I’ve been desperate to find a way to support my muscles and joints, promote healthy sleep patterns, and support my thyroid. The combination of Fibro AMJ Day and Night-time Formulas and Metabolite have been wonderful. I feel just great. I just can not say enough, so I have preached it to anyone who will listen, and decided that products this good must have a great company as well. You will never know what this has done for me.